The only radio imaging festival in the world, The Imaging Days is back. 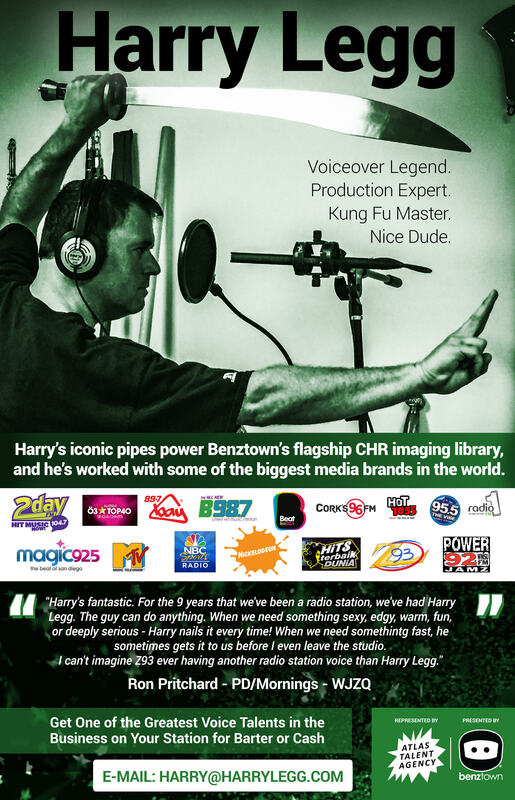 The Imaging Days team is proud to announce that the “New York sensation” and “social media sensation” BROADWAY BILL LEE (WCBS FM) is one of the headliners during The Imaging Days 2019. With almost 50 years of experience in radio as Program Director, DJ and imaging lover, this will be a very interesting session. On 7th and 8th of October the event will be organized at a completely new venue in the capital of the Netherlands: Amsterdam. In addition, the team is introducing: THE IMAGING DAYS JINGLE NETWORK BALL. The first three editions of some the event gave speakers and visitors new job offers – and the team is proud of that. The Jingle Network Ball is the ideal opportunity to talk to other interesting visitors and to get to know each other and discuss possibilities of working together. But of course, also during this edition the team has invited the most interesting speakers from around the world. An EXCLUSIVE MIXNG & MASTERING MASTERCLASS has been created for The Imaging Days: master king WESSEL OLTHETEN (Michael Jackson, Nicole Scherzinger, Andrea Bocelli, Akon) will show visitors all his secrets in detail for getting the best sound results. Many imaging producers find a C4 and an L2 sound good on their master.. but did you know that misuse can bring down your production quality? A great addition to the masterclass is: what happens to the sound of your production when it goes ‘on air’? Your station’s technical sound produced by Optimod or Omnia, for example, are the live mastering tools for every single bit of audio on FM or digital alternative. Why can’t you live without them, OSCAR DEKKER will tell you all about it. In addition, The Imaging Days team welcomes JEFF BERLIN, the Imaging Director of Kiss108 in Boston. SVEN OF DONGEN from SLAM! opens his imaging kitchen, GUIDO SPRENGER (NPO Radio 2) talks about pop radio imaging and JAMES LAWSON (TRIL / Hits Radio) takes you through his Pro Tools sessions. The sound of Kiss London is created by OLI PENGILLY, which plugins does he use? IDRISS ROUCHICHE (FunX) talks about urban radio imaging, and from Ireland we welcome NICK KARKAZIS – Assistant Program Director and Imaging Director at Spin1038. As you can see, The Imaging Days 2019 will be extremely interesting again. Are you working in radio as a producer, are you a lover of jingles and imaging or Program Director and would you like to see what the imaging producers of your station do all day? Do not miss The Imaging Days and score your tickets via theimagingdays.com. The Imaging Days 2019 is supported by IGNITE JINGLES, TRIL – THE RADIO IMAGING LIBRARY, BRANDY, STRIKE JINGLES and JOYSTICK AUDIO.